The 15-member UN Security Council is scheduled to vote at 1500 GMT on a single compromise resolution that has been "put in blue" -- a UN parlance, which means it is ready for a vote. The resolution put in blue (reproduced in full hereunder) combines the Russian and European drafts. It is expected to pass by a unanimous vote. It authorizes the deployment of 300 unarmed observers for an initial period of three months and underlines "the need for the Syrian government and the UN to agree rapidly on appropriate air transportation assets" for the observer mission. The European text had underlined "the need for the Syrian government to agree rapidly with the United Nations the independent use of air assets" by the observer mission. The Russian draft had made no mention of air assets. Damascus had dismissed any need for UN aircraft. 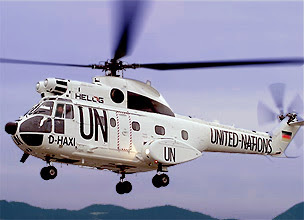 UN Secretary-General Ban Ki-moon had said the monitors would need helicopters and other military hardware.